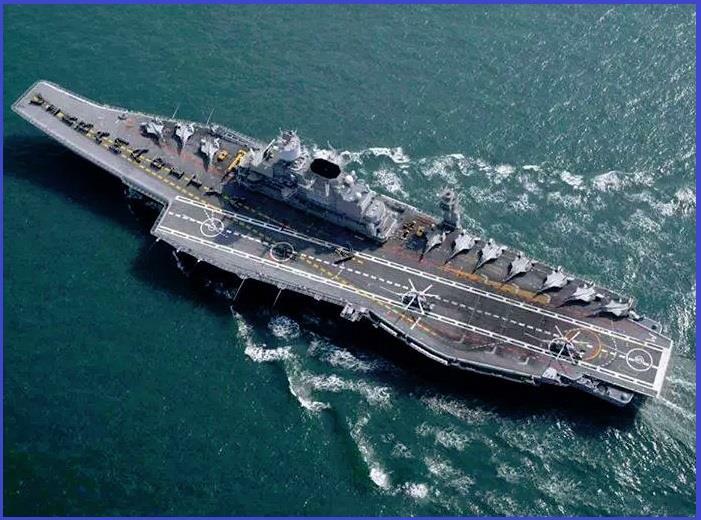 NEW DELHI : Aircraft carrier INS Vikramaditya, nuclear submarines and scores of other ships were put on operational deployment by the Indian Navy after tension escalated between India and Pakistan following the Pulwama terror attack, Navy officials said Sunday. They said the naval assets were part of a mega exercise but they transited from the exercise for operational deployment soon after the Pulwama attack on February 14 in which 40 CRPF personnel were killed, Navy sources said. About 60 ships of the Indian Navy, 12 ships of the Indian Coast Guard and nearly 80 aircraft were put on operational deployment mode, they said. "Availability of such a large number of combat ready assets in the theatre of operations for TROPEX exercise allowed the Indian Navy to expeditiously respond to the developing situation in synergy with the three services," Navy Spokesperson Capt. D K Sharma said. "The overwhelming superiority of Indian Navy in all three dimensions forced the Pakistan Navy to remain deployed close to the Makran coast and not venture out in the open ocean," he said.